The winter issue of the Newton Conservators Newsletter opens with a cover story about the effects of climate change and sea level rise on the Boston area. Dr. Primack wrote this popular article for his Newton neighbors — outlining the basics of climate change, its local effects, and its potential future impacts. Primack serves as an advisor for the Newton Conservators, an advisory group that has been working on environmental and land protection issues since 1961. 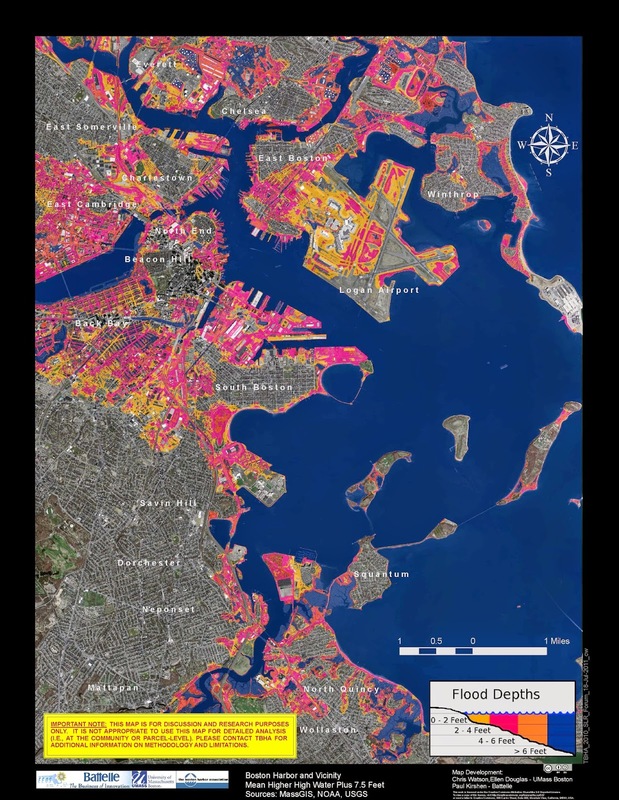 Primack's article notes Boston’s luck during Hurricane Sandy in October 2012 — we narrowly missed Sandy’s 13-foot storm surge — and considers a future of rising sea levels in a city built on former mudflats and tidal marshes. The sea walls and dams currently protecting Boston from storm surges were designed to withstand 20th century hurricanes, and are not equipped to hold against sea levels expected to rise 1-3 feet by 2100. Primack encourages readers to take action, write to political leaders, and participate in the citizen science projects that help researchers to understand the ecological effects of climate change here in Massachusetts. "This crop grows wild all over the country—wholesome, bountiful, and free, a real ambrosia." In addition to observing flowering and leafing out times of wild plants in Concord, Thoreau also took an active interest in fruit phenology. 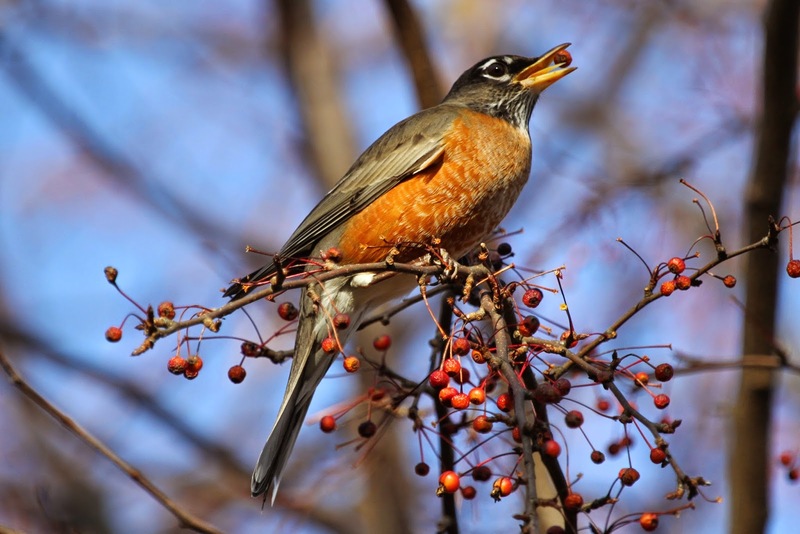 Fleshy fruits that ripen in late-summer and autumn provide food for animals like migratory songbirds, which in turn disperse the seeds of the fruits they eat. Despite the importance of fruits, surprisingly little is known about how much variation exists in the fruiting phenology of different species, how native and invasive species differ in their fruiting phenology, or how fruit ripening times are responding to climate change. This autumn, the Primack Lab began a new endeavor: to track the fruiting times of over 250 species at the Arnold Arboretum in Boston, MA. Every ten days, members of our lab ventured into the arboretum with the goal of documenting the first and last fruiting dates of species across the vast collections of fleshy-fruited plants. We will use the data gathered this season and in future seasons to assess the variation in fruiting phenology among an exceptionally broad group of species, and we hope to compare our observations to those recorded at other arboreta across the world. Our monitoring at the Arnold Arboretum is complemented by our observations of native and invasive fruiting species at Manomet Center for Conservation Sciences in Plymouth, MA. There we are investigating seasonal changes in fruit availability for migratory songbirds, differences in the seasonal profiles of native and invasive fruits, and how songbird diets (which are primarily composed of fruits in autumn) have changed over the past 25 years.